We know how to make a great tasting pizza, you can even say this was the foundation of what put Buoys on the map. We support local, continue to use ingredients from the island, and we still making our pizzas and panzerottis from scratch in our kitchen. Trust us when we say, anything homemade is worth the wait! Green olives, pepperoni, mushrooms, bacon, green peppers. Double pepperoni, extra cheese, tomatoes, green olives, bacon. Shaved roast beef, garlic butter fried mushrooms, red onion, marble cheese, steak spice. Burt Farm smoked pork shoulder, mozzarella, balsamic marinated onions, maple BBQ sauce. Pepperoni, bacon, ham, ground beef, sausage. Red peppers, fresh garlic, onions, mushrooms, feta. Double ham, double pineapple, double cheese. Double pepperoni, extra cheese, tomatoes, green olives, bacon, mushrooms. 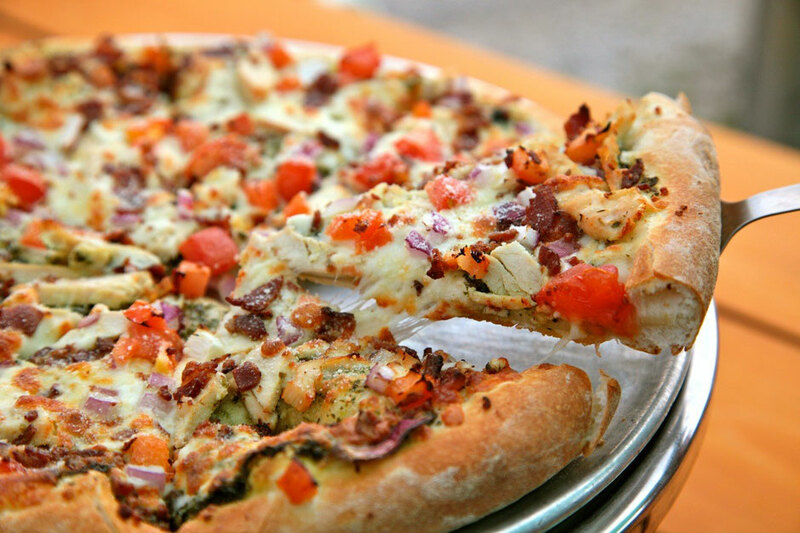 Our signature pesto base, chicken, bacon, tomatoes, onion, sprinkled with Parmesan. Pepperoni, mushrooms, bacon, extra cheese. Tzatziki Sauce base, Gyro meat, onions, feta, tomatoes, black olives. Prices do not include HST & subject to change with out notice. If you know what you like, then you are the boss! Pick your size, and up to 5 single items from the list below. If you want more toppings then you can be the topping king or queen, pricing is beside each item. Like a folded over pizza pasty, all the goodies are wrapped up in Buoys’ delicious fresh made dough. Includes sauce and cheese. *Choose up to 5 single items from the list below. Your signature pizza includes one topping, tomato sauce and cheese. Add on any extra toppings from our list below for an additional charge. 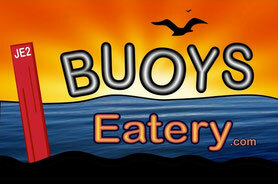 © Copyright Buoy's Eatery - All right reserved.